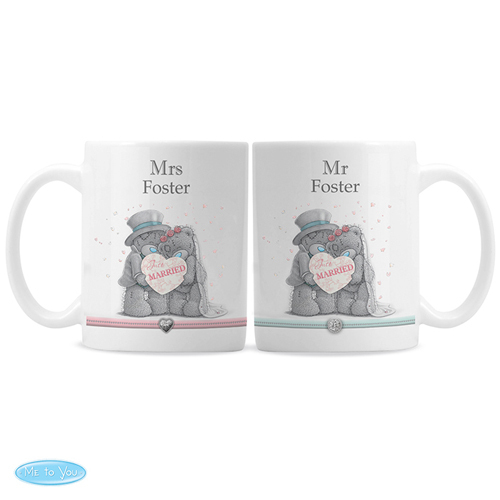 This Personalised Me to You Wedding Couple Mug Set is a lovely idea for wedding favours or a wedding gift! The same personalisation appears on both mugs. You can then personalise with a surname of up to 15 characters long on the front. On the reverse you can personalise with a message up to 4 lines of 20 characters. 'Mr' 'Mrs' and 'Just Married' is fixed text on this item.